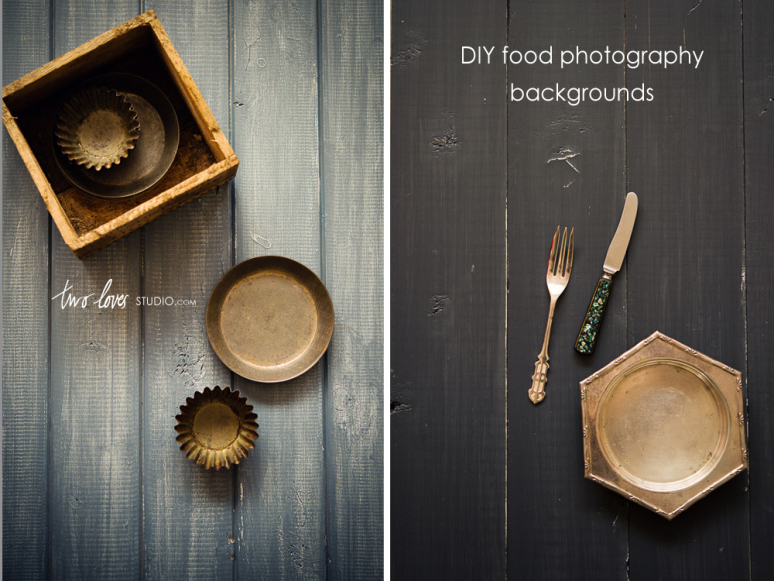 This cool photo set up by The Little Dog, was featured on Etsy's blog. You can see the consistency it gives her product shots in her Etsy store. 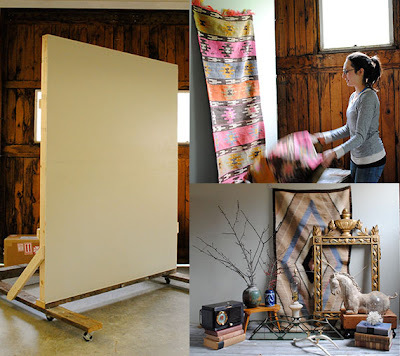 This is a killer idea from Mint Design blog that I wish I had thought of! 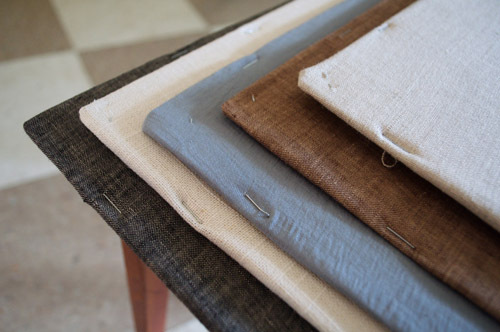 Lovely linen which gives a fabulous texture to use as photo backgrounds. 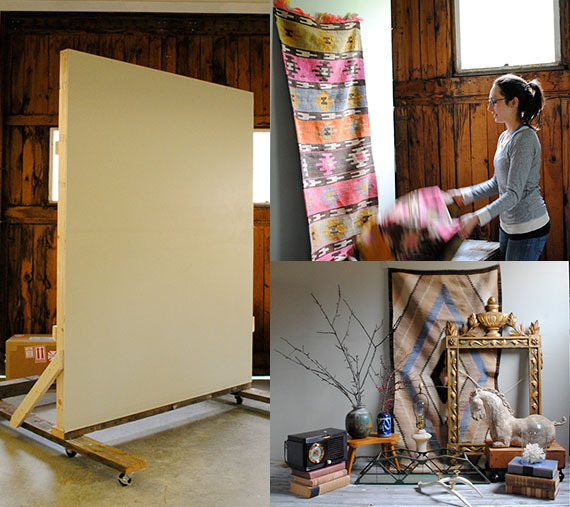 The fabric is stapled to either canvas, wood blocks, foam core, whatever you have on hand. 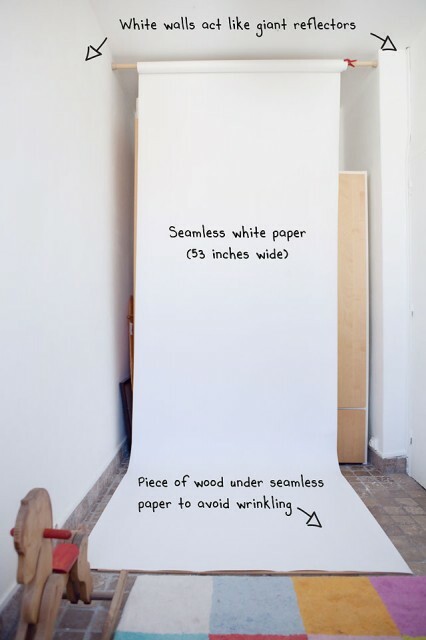 Some great photography tutorials and this article about home studio on Clickin Moms. I'll be spending a bit more time on here in the future, it was awesome. I spotted this fab idea on Decor8 from Australian food blogger, Two Loves using painted flooring boards. A great way to get your perfect colour and a cool texture! There are lots of Youtube tutorials too! Prophotolife was recommended to me on Quora. I have only watched one of his video's on product photography, it was excellent. I'm off to search how better tips for photograping white on white! Pinterest has a plethora of images for this topic but trying to find the direct link or image credit can still be a problem. Hope these above links are inspiration enough for now.